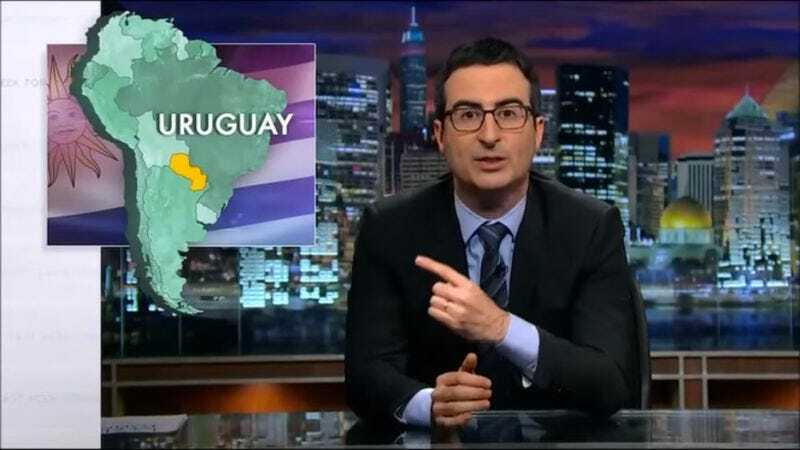 John Oliver knows Americans are crap at geography. Not only does he know this, he revels in it with a recurring gag about how little they know about countries around the world (and even states within the union). YouTube user Andnowthesethings has assembled all of the times that Oliver has pointed to a land mass and identified it as a country, only to pull the rug out from everyone and announce that wasn’t the country at all. Clearly it’s all an effort to shame Americans into getting to know geography better, but it seems that Oliver has a long road to go as Americans are increasingly dumb when it comes to countries’ locations. Making supercuts, on the other hand? That’s where Americans can truly shine.